The Colfax Marathon wants your short videos! 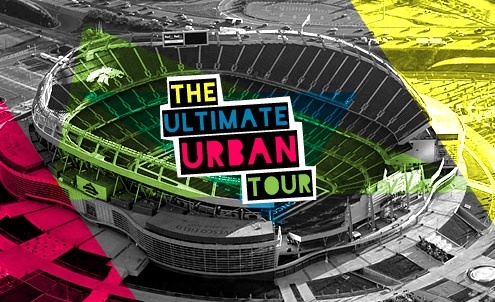 How do you define The Ultimate Urban Tour? The Kaiser Permanente Colfax Marathon video competition seeks video entries highlighting the Mile High City’s diverse neighborhoods and eclectic landmarks that runners will encounter along the 2012 course; including interesting architecture, funky stores, and unique restaurants and bars. Contestants whose videos best capture the spirit of “The Ultimate Urban Tour” will have their video incorporated as part of a new Colfax Marathon promotional showcase and win a generous prize package! Who: Anyone with a video camera, iPhone, or professional video gear. Why: To capture the urban personality of the Mile High City. When: “The Ultimate Urban Tour” project will be unveiled on race day at the Colfax Marathon and aired on TV and the web. Deadline: Submit your video by May 1, 2012. Winning videos will be broadcast on the big screen at Mile High at the Expo. Plus, see it at The Denver Film Center and on runcolfax.org. Create your video with a smartphone or with a professional camera. Everyone is a filmmaker with a story to tell! For a complete description of contest guidelines, please visit www.runcolfax.org/videocontest.